Those wishing to purchase the refrigerator has a hard time – choice of different models and brands is really huge. Knowing clearly which parameters are essential and mandatory, you can always pick out the right fridge the manufacturer you trust. One of the selection criteria is the amount you are willing to spend on this appliances. To this class of refrigerators are brands produced by major brands that are known in the market for more than one year and not even one century. The cost of these refrigerators are usually quite high and starts from 30 thousand rubles. In addition to a good name, which is a guarantee of quality, these refrigerators typically have a separate crisper drawers for storing vegetables, fruits, leafy salads and greens; electronic control system; a dispenser or the ice maker; an audible alarm of the door opening and high economical performance. Even the fridge well-known brand might break down before you buy find out the presence of guarantee workshops in your area. In this class, you can purchase considered the best German brand LIEBHERR, whose refrigerators reputation for reliability, which is confirmed by the longest warranty. Well known to Russian consumers and another German brand BOSCH, and although significant claims to the design and quality no refrigeration, high cost more due to the reputation of the company. Good refrigerators produces SHARP, high quality products complemented with a variety of designs, textures and colors, as well as a wide range of additional functions. Quality fridge brand ZANUSSI is also not satisfactory the consumer, although the price could be lower. But refrigerators other Swedish brand ELECTROLUX is often a cause of dissatisfaction of customers, too noisy and not very reliable. One of the most popular brands in this price segment is the SAMSUNG, its products are thoughtful and ergonomic design and high quality. In addition, the company has many service centers and are always ready to perform timely repair and maintenance of its equipment. High reliability is famous for refrigerators and the other South Korean brand LG, but buyers complain of their noisy work, and about service a lot of not so good reviews. The optimal combination of price/quality refrigerators AEG, but on the periphery of the little workshops of their warranty repair. Brand INDESIT is one of the most reliable and has the trust of the buyers, the disadvantages include not only a wide variety of design solutions. Good produces refrigerators and WHIRLPOOL, but the warranty service in the regions is a problem. The quality of the refrigerators are presented in different price segments is approximately the same if the brand you don't particularly care about, better to choose cheap and reliable. 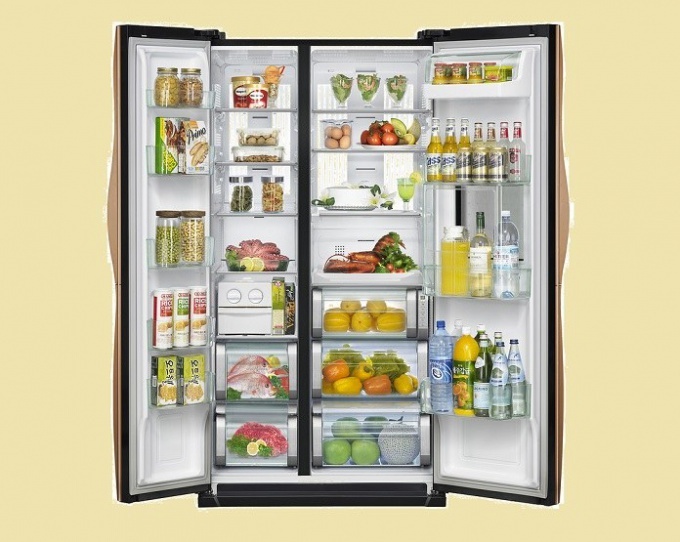 Affordable and quality fridges offers a Turkish brand BEKO, they feature quiet operation and advanced functionality. The company constantly develops its network guarantee workshops. Affordable and reliable Belarusian Atlanta. Please note a stamp is not BAD if you need a silent, reliable, cheap fridge, presented in a variety of colors with an excellent level of warranty service. Good reviews deserve and refrigerators brands NORD, BIRYUSA, and SARATOV, have long been known on the Russian market.